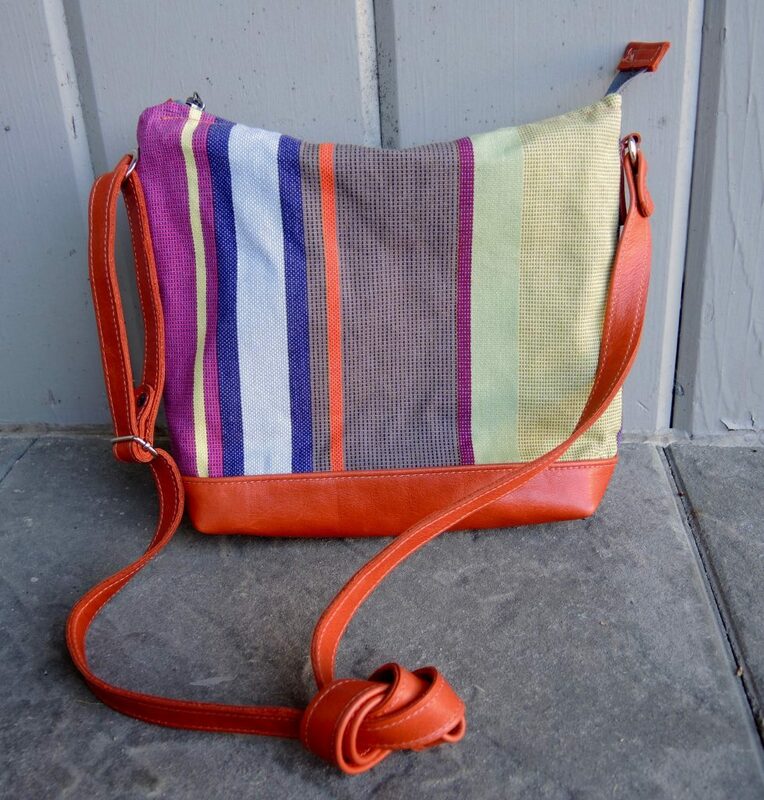 This is a new bag, the Ottawa. 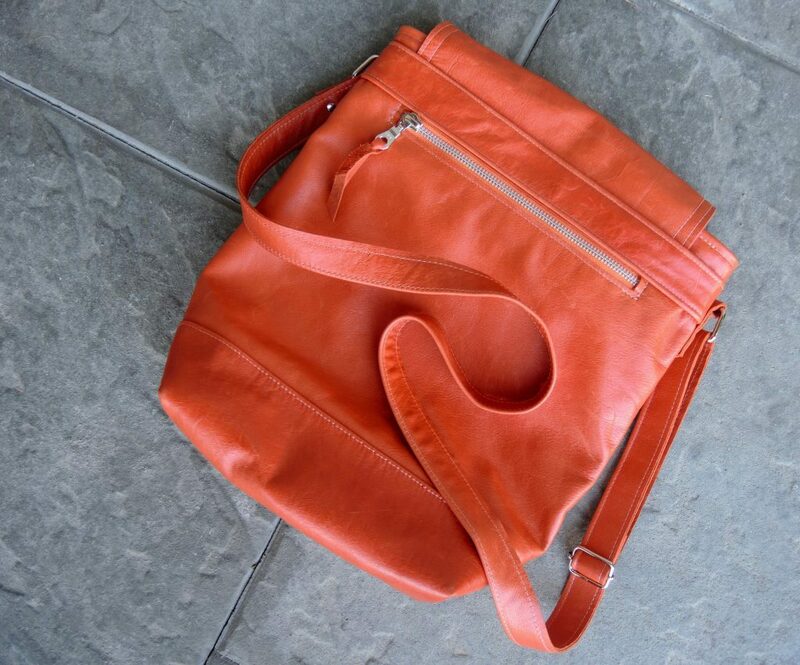 It has elements of the 1510 backpack and the daily tote, but combined in a new design. 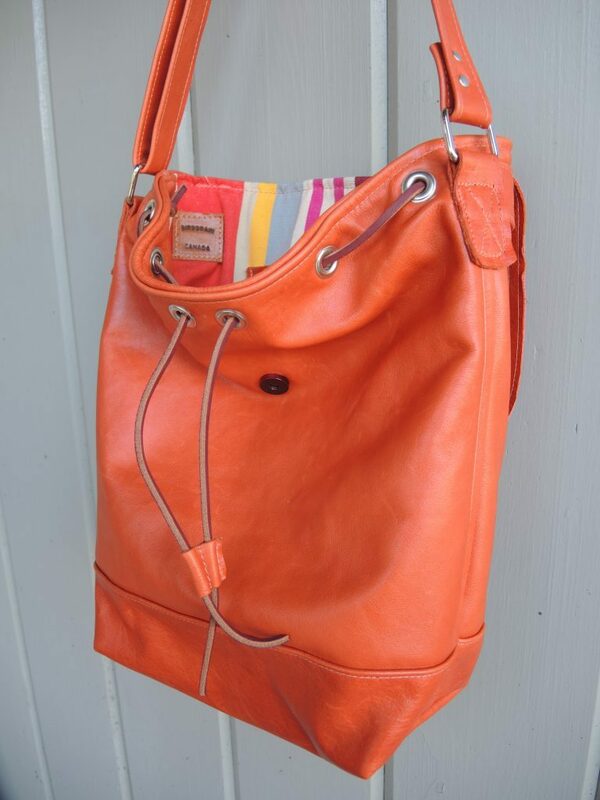 This first one is made of beautiful orange leather, the flap lined in pink leather–two great colours. The body is lined with a cotton striped duck form Ireland. 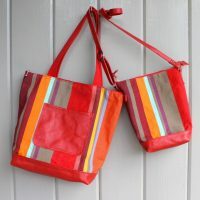 I plan to make another one in these colours and then a couple more, one in blues, the other neutral. But first I am going to take this for a test run this weekend in Ottawa to see how the design works. 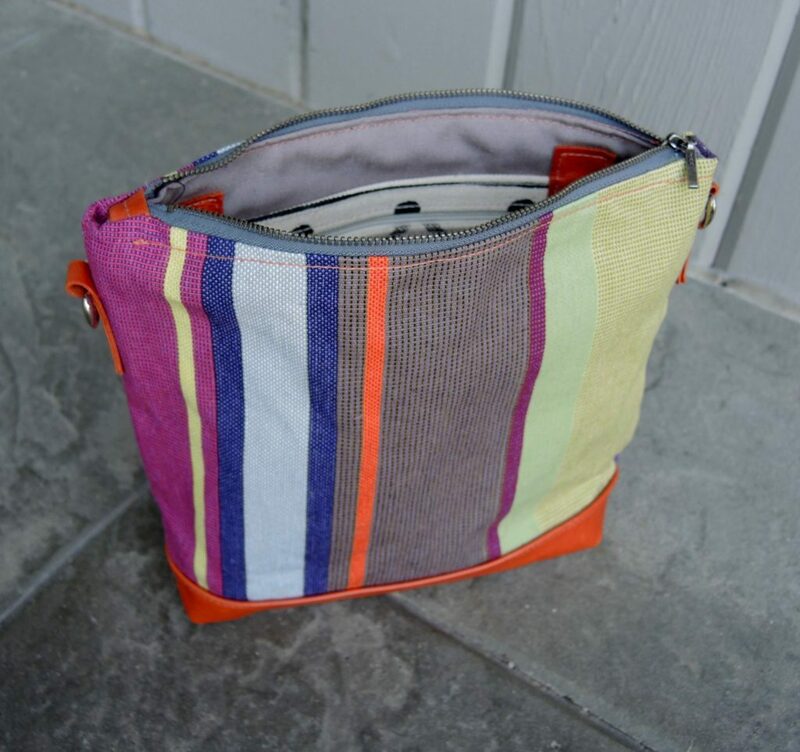 There is a zipper pocket on the back and two pockets inside, providing great organization. It’s 13″ tall, 12″ wide and 4.5″ deep. I think this is going to be a favourite. 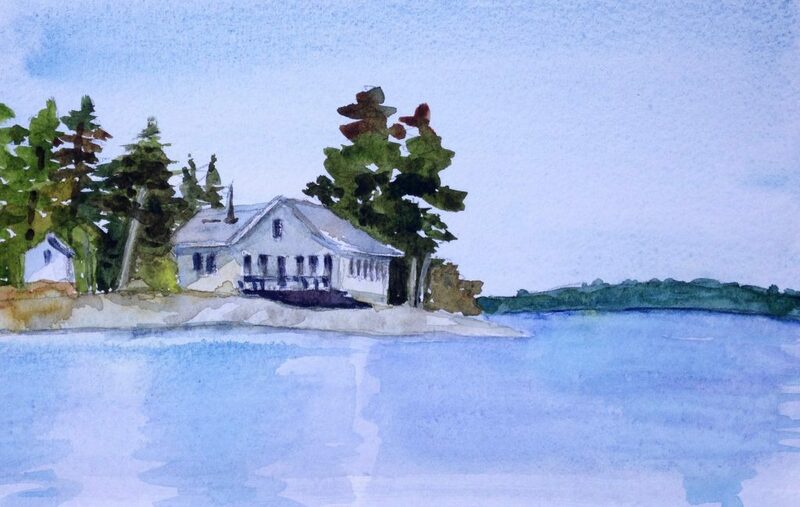 It is always hard for me to close up the cottage. This year it has been harder as the hot and humid weather makes it seem more like July -the July we did not have this year. One of my favourite things about the cottage is the screened-in porch. I love to lie on the old lounge under the yellow light and read as darkness falls. In September we are usually sitting around the wood stove but this past weekend I was on the porch and outside counting the stars in the clear dark sky. It was hard to leave. 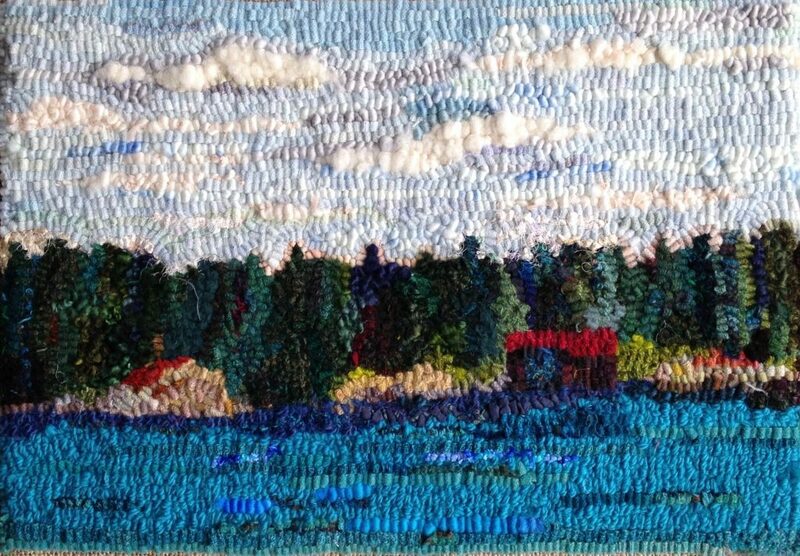 We will be back to put the final touches on the close-up, but the beds have been stripped and the porch stacked with canoes, so there will be no more quiet island nights with the sole yellow reading light until next year. 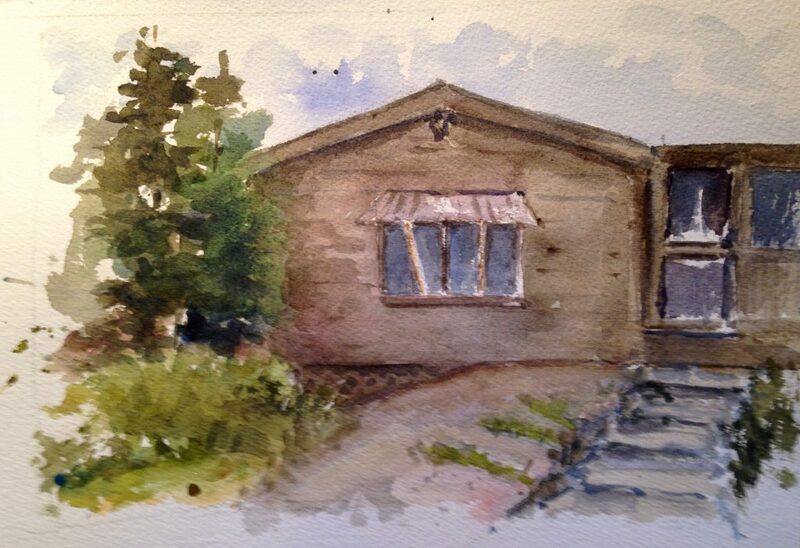 Here are some photos of the last boat ride, the winterized boathouse and a couple of sketches. 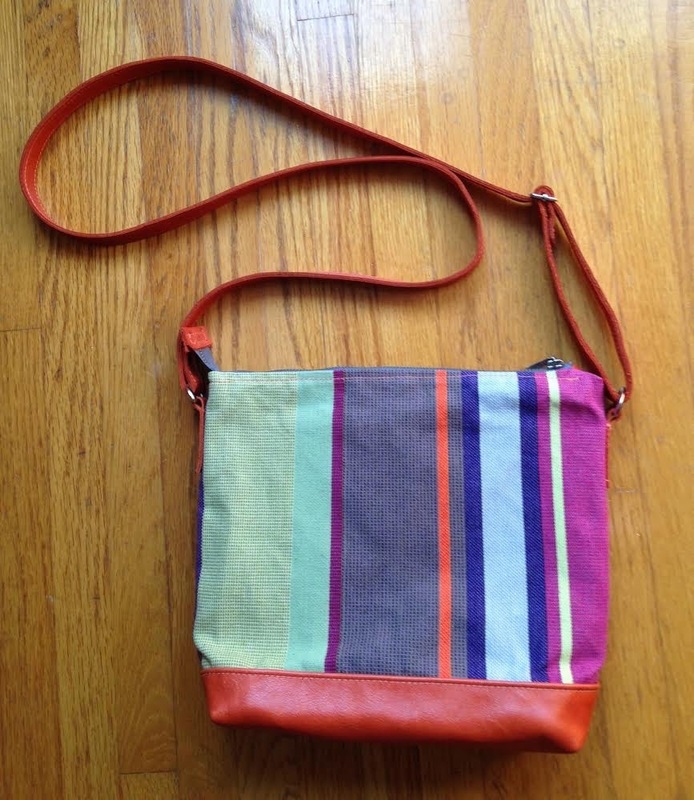 Yesterday’s bag is all finished. 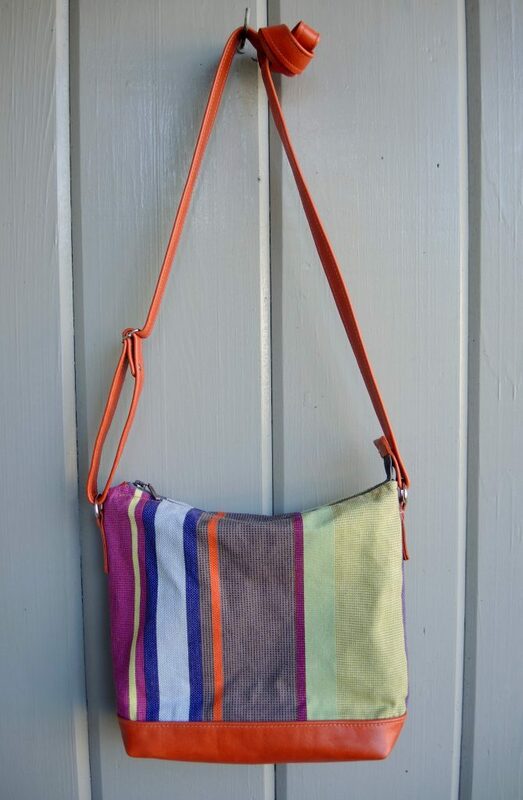 This canvas from Collioure France is some of my favourite for bags and pouches. It is durable, bright and easy care–after all it is made for deck chairs! 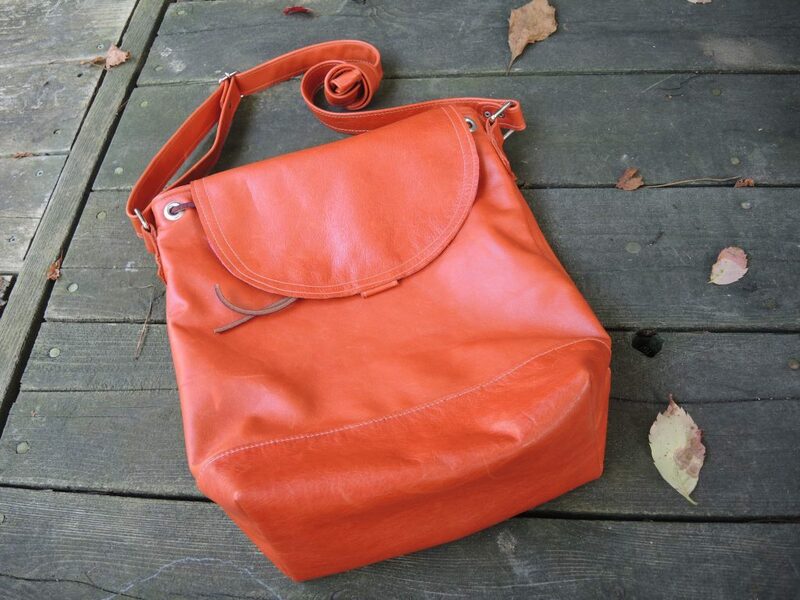 Here it is paired with beautiful orange leather. 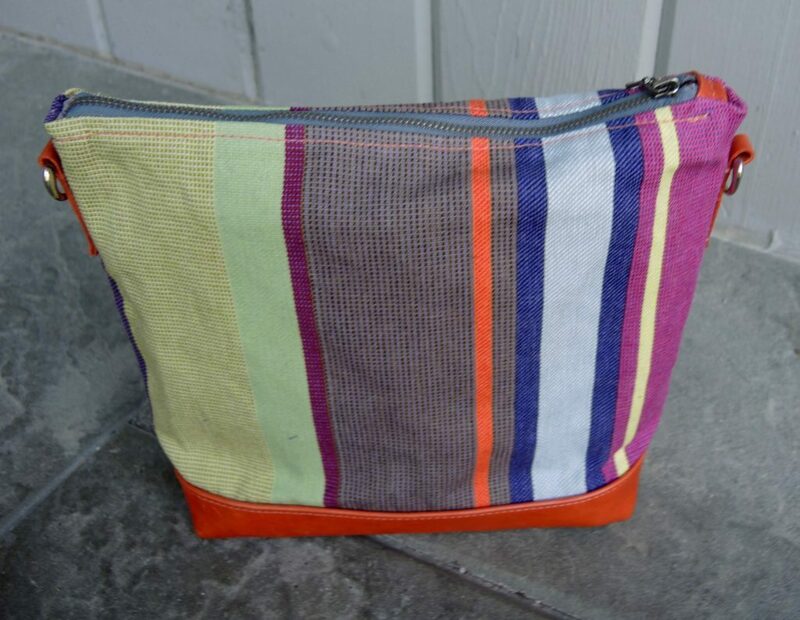 It is 10.5″ wide, 8.5″ tall and 3″ deep so it will carry phone, wallet, keys with room for other essentials. 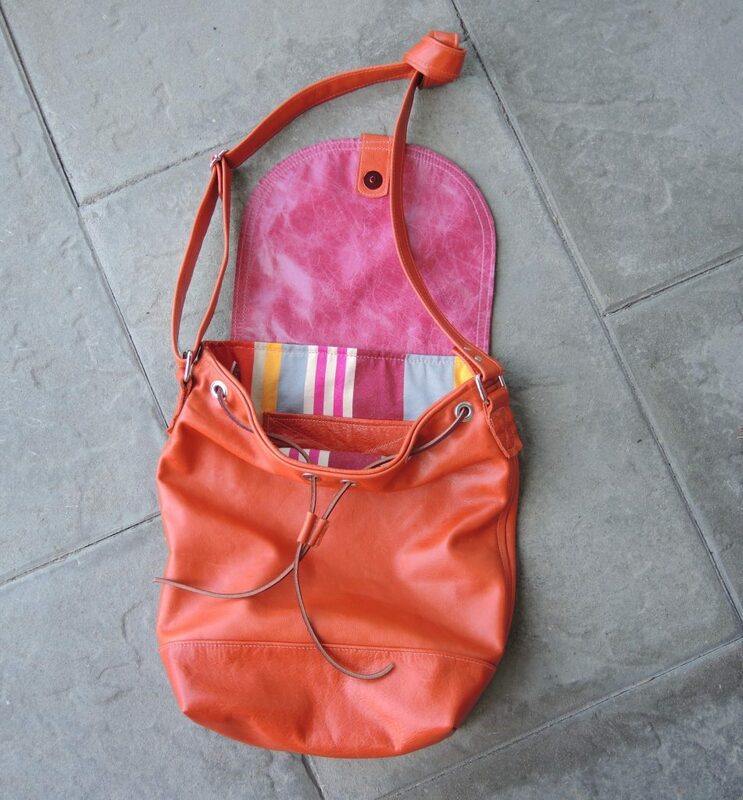 Inside there is a zippered pocket as well as a slip pocket. 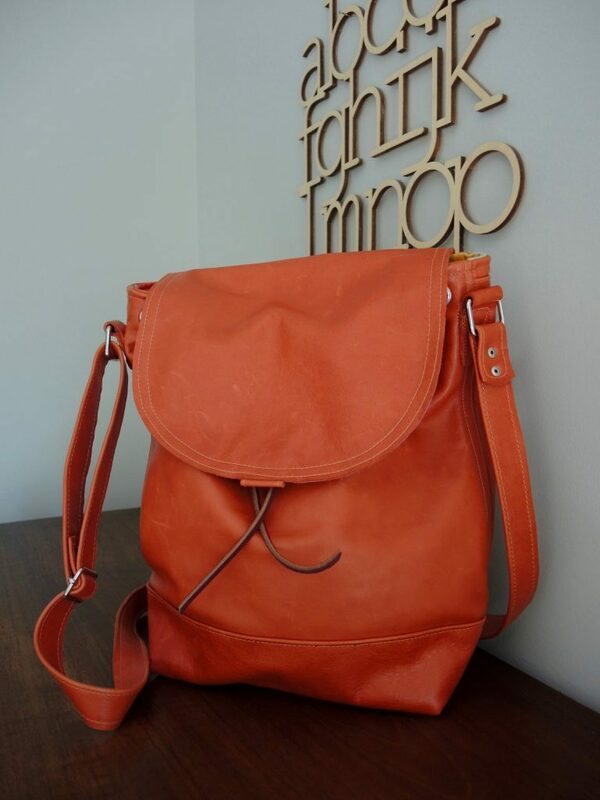 The leather shoulder strap is adjustable and the metal zipper durable. I was in Toronto for a short while last week. 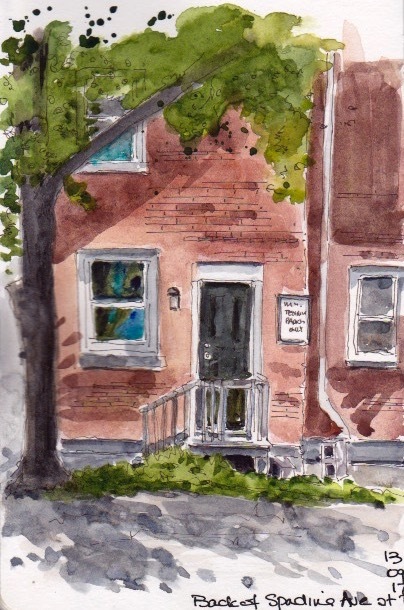 I visited a darling new family member, headed out on the streetcar for some fabric and two new patterns at the Workroom, saw Dunkirk and did this quick sketch of the back of a building on the corner by the subway station. 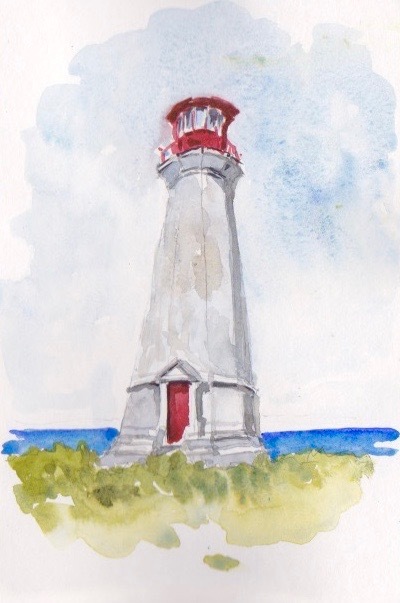 We have been so fortunate to have such great weather, so I am trying to fit a sketch in whenever I can. Last week we were lucky enough to make a trip to Main Duck Island. This is a 600 acre island in the middle of Lake Ontario, (so close to the American/Canadian border that my cell phone welcomed me to the US.) We made the trip with a small group of historians and birders and a film maker documenting the last lighthouses on Lake Ontario. 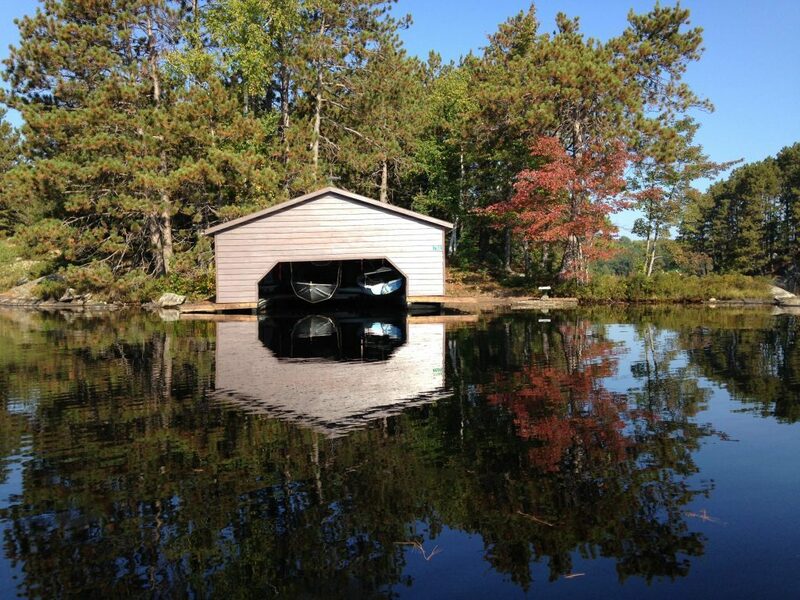 It was a glorious September day, the lake calm and turquoise with little wind. The trip out on a commercial fish tug took almost two hours. We walked the 1.5 miles across the island to the lighthouse keepers’ house, abandoned now that the light is automated, and the stunning lighthouse. 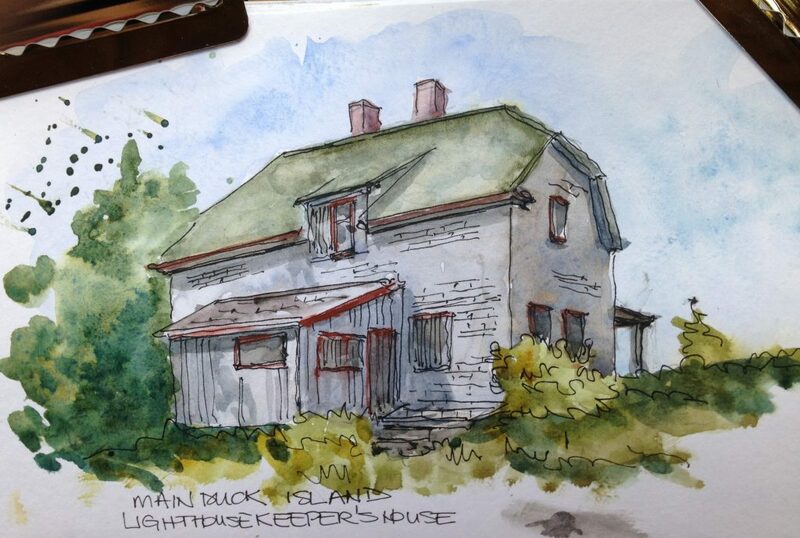 After lunch on the shore of the lake I opened my sketchbook to document the weathered house and the famous light, hoping to capture their elegance and tenacity. The island was once owned by John Foster Dulles, Secretary of State under President Eisenhower. However, in 1976 the Nature Conservancy of Canada carried out the negotiations to purchase from then owner, Robert Hart, and resold it to the Canadian Government. The island is now a National Park, a haven for birds and wildlife. We saw hundreds of Monarch Butterflies on their way south and many migrating birds. 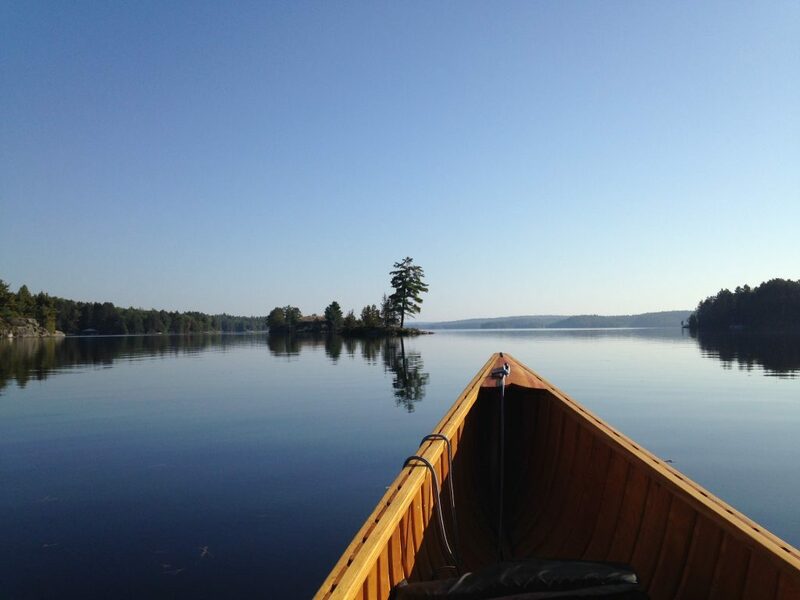 With its abundance of natural beauty, as well as excellent docking facilities and trails, it is truly a Canadian treasure.